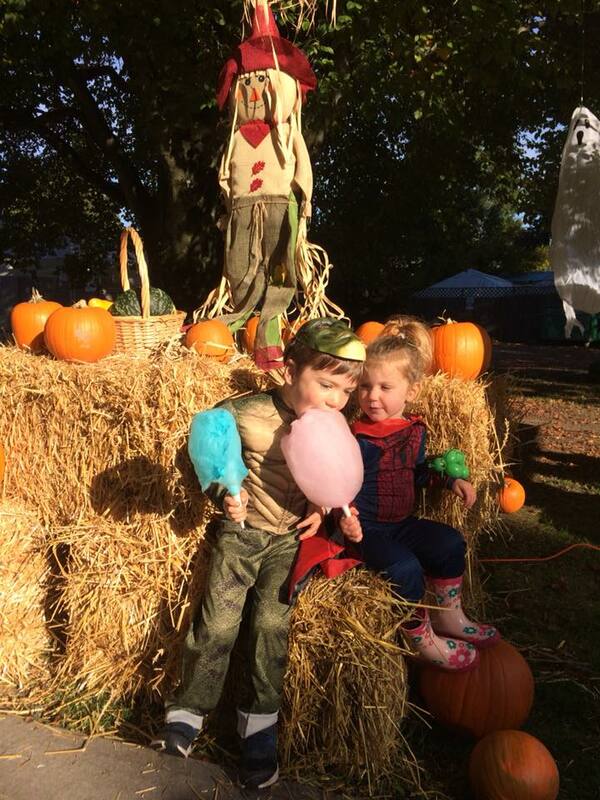 Great fun was had by all at the "Pumpkin Patch in the Park" - pumpkins, games, treats, and more. 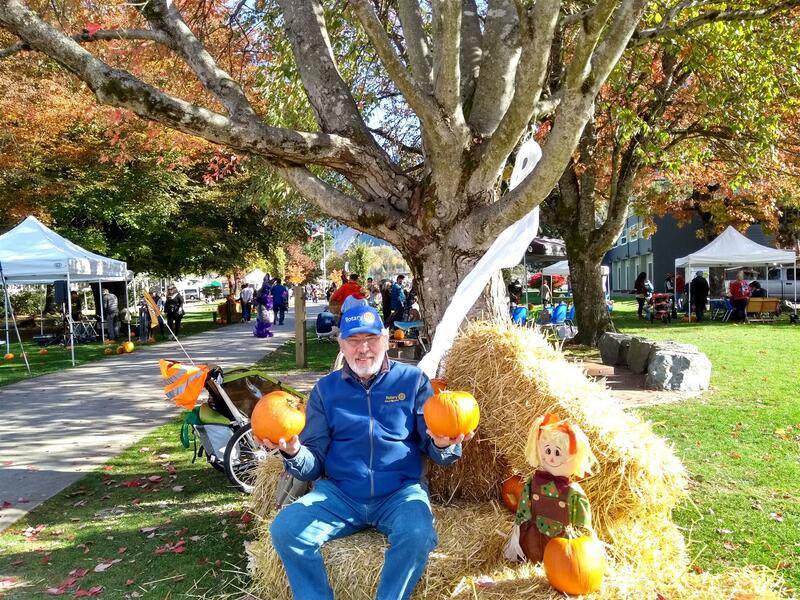 All donations are going to the Squamish Helping Hands Society and the Under One Roof project to support the homeless and less fortunate in our community. 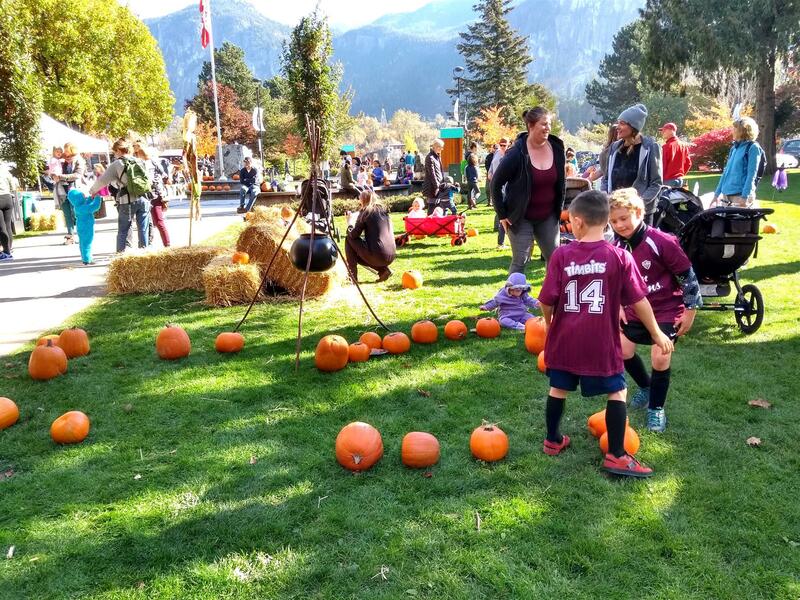 The Rotary Club of Squamish was a sponsor of the event along with Save-on-Foods .and the Downtown Business Association. Kathleen and Inis taking a break. The kids had a wonderful time. Who would like a pumpkin? Howe Sound Interactors ran the games.